That special day of your child has finally arrived and no one can really stop you from planning a really fun and perfect birthday party for him or her. Kids always wait for their special days to come and there are obviously tons of things to do when it comes to arranging their birthday. From a variety of parties that are inspired from gardens, castles, kings and princess, underwater, pirates and other themes, there are a lot more party ideas and themes that are present which will surely make your kids happy all throughout their special day; so here are some of these great ideas that are great for your kids’ birthday parties. This kind of party is great for boys and girls, plus it’s really easy to prepare and carry out as well. Set some attractive and colorful decorations such as dotted pinwheel sand even paper lanterns; plus, you can also make unique party hats to add more fun to your kids’ party! This is a very simple theme that you can do but it’s a lot of fun especially for a children’s party. 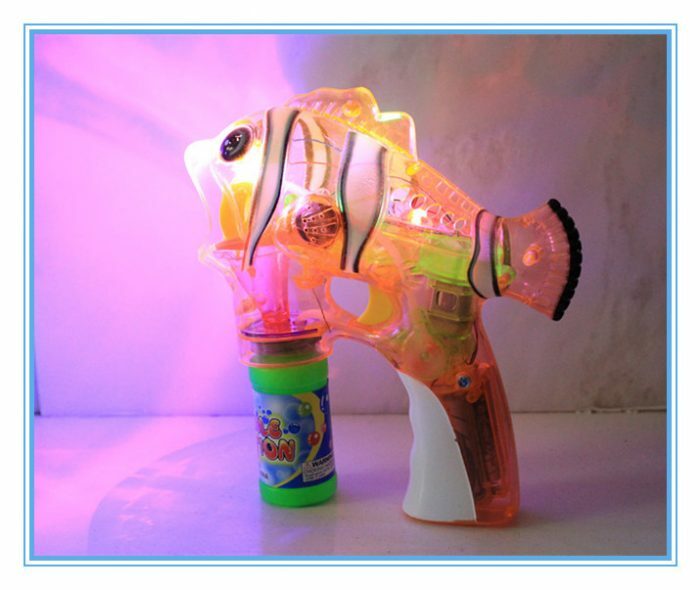 Blow lots of bubbles and have the little guests catch them; the more bubbles, the better, so have a few guests use the Original Copter Clownfish Bubble Gun and shoot out tons of bubbles to make the party more fun. Have your kids’ guests enjoy a picnic-styled birthday party by having everyone sit on vinyl tablecloths that are all placed and spread out on the ground. There isn’t anything more fun than enjoying the party outdoors, in a picnic setting while enjoying the surroundings plus the company of friends; also, your kids and their friends can readily play out in the open which makes for a more fun and exciting birthday party. Your child will surely want to quickly open the gifts he or she receives, so to make it fun, play spin the bottle and whoever gets pointed at first will be the guest whose gifts will be opened first.